Religion in Bali is present everywhere and every day. It is literally a way of life where ceremonies mark every single step a Balinese takes and every event he or she experiences. No matter where you are in Bali, you only need to look around to see signs of religion in every corner: the “canang” or traditional baskets reign over the island filled with the most unusual gifts to the Gods such as a candy, a tangerine, some frangipani flowers, a banana or a salak fruit, some leaves, even a cigarette! 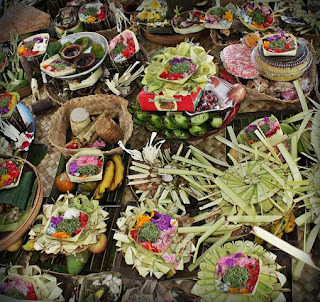 Balinese start each day by buying these items in their traditional markets, they then arrange them nicely in coconut-leaf baskets and finally they pray while placing them in strategic locations around houses or workplaces. These offerings are meant to thank the good spirits and appease the evil ones, keeping the balance between good and bad in the island. 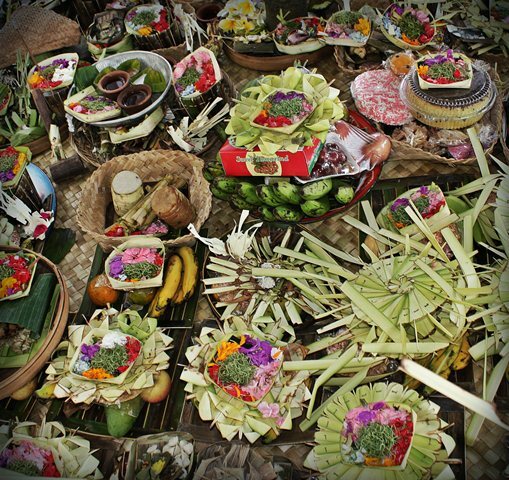 Apart from these daily rituals, ceremonies are a major aspect of the Balinese lifestyle and culture. From birth to death the Balinese celebrate a variety of milestones or rites of passage that they believe will guide the soul through the numerous stages of life. Some of these celebrations can be really shocking from a Western perspective, as it is the tooth-filing ceremony. This very significant ritual marks the step from puberty to adulthood for both males and females and it consists of filing down the canine teeth (the pointy ones) until they are even with the other teeth around them as they are considered animal-like and getting them shortened symbolizes the smoothing out of the animal aspects in a human's personality. If for whatever reason a person has not undergone this ceremony by the time he/she dies, then it will have to take place prior to his/her cremation, as the Balinese believe that the gods may mistake a human for a savage animal if his/her teeth are not filed. Until recently, Kevin and I were exposed to religion in Bali just by watching the locals in their immaculate ceremonial clothes buying or preparing the offerings, walking to the temples, praying to holy trees... Or as we waited anxiously in traffic for a cremation procession to enter or leave a temple. Or when we witnessed from time to time the taking over of a beach by a group of worshippers to release their offerings into the ocean. But, as I promise to reveal in my next post, religion is now also part of Cuca and of our daily tasks and accomplishments. 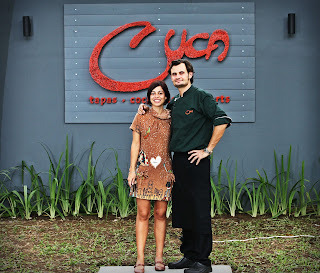 It’s time to go, Cuca’s dining room is filling up and dinner service begins! Although I have lots and lots of things to tell you about after my long silence, today I would love to share with you how does it feel to have your own restaurant. If you have been reading my blog from the beginning, you will know well the ups and downs of this year long journey. You will also remember the array of little details and great people involved in the making of Cuca so you will be able to perfectly understand me when I tell you that the opening night was truly magic. To see our guests walk through, touch, feel and taste everything we had so thoughtfully developed gives you the utmost feeling of accomplishment. The room around us that night was silently screaming “You made it!”. Kevin and I do pretty good getting things done but it is overwhelming to see that for every tick accomplished we discover another 5 new “to dos”. And whenever something seems under control, it just suddenly slips out of your hands and you need to reassess the situation all over again. 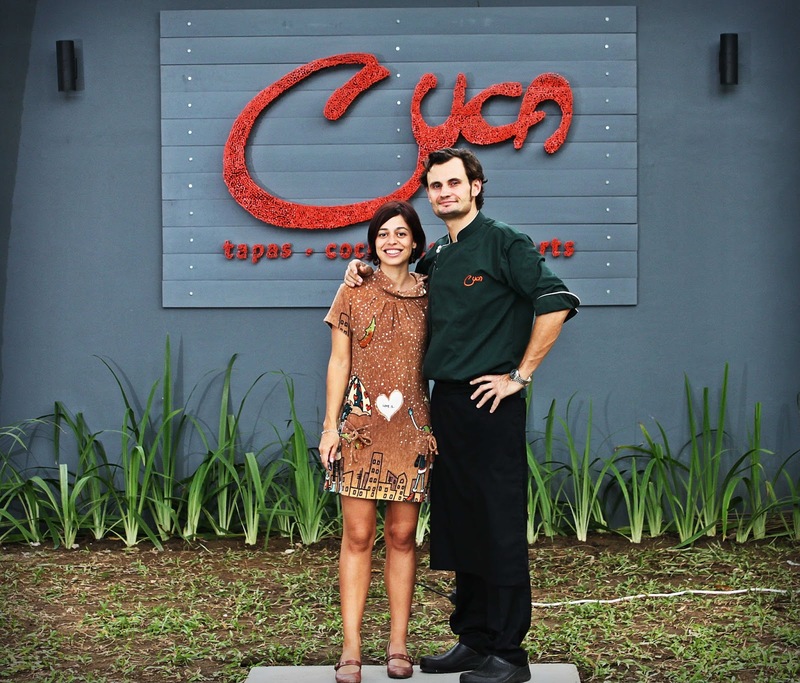 One of the biggest challenges in the day is to combine our marketing efforts to get Cuca known with the daily operations of the restaurant. We know we have to do whatever possible to attract guests but at the same time we need to make sure we are ready to impress them so they return. Another tricky part is to be strict with our staff so they perform up to our expectations but at the same time to make sure they are happy and in good spirits to provide a heartfelt service for many years to come. You know that this is always difficult but it becomes a real challenge when you take into account that all our staff is new so we don’t count with the loyalty of any senior employees. In a nutshell, to be a restaurateur feels like climbing a mountain every morning. You start full of energy and motivation, get going and easily skip the first obstacles, continue farther and start feeling a bit tired, go some more and begin feeling the pain and the weariness and when you are about to desperate… you see the peak (the first guest of the evening) and forget how exhausted you are. You are at the top and feel great while admiring the view. By the end of dinner service is time to slowly pack up and descend… get home and feel a mixture of accomplishment and tiredness. And fall asleep realizing that tomorrow another mountain awaits you.